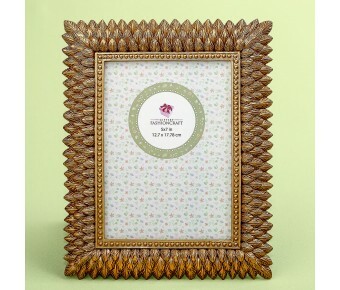 Digital photos are the in-thing, but you can't beat a classic photo frame to show off your sentimental photos. These stunning gold leaf design frames can be placed vertically or horizontally to create an eye-catching display. The frame holds a standard 5 x 7 photo and can be placed vertically or horizontally. 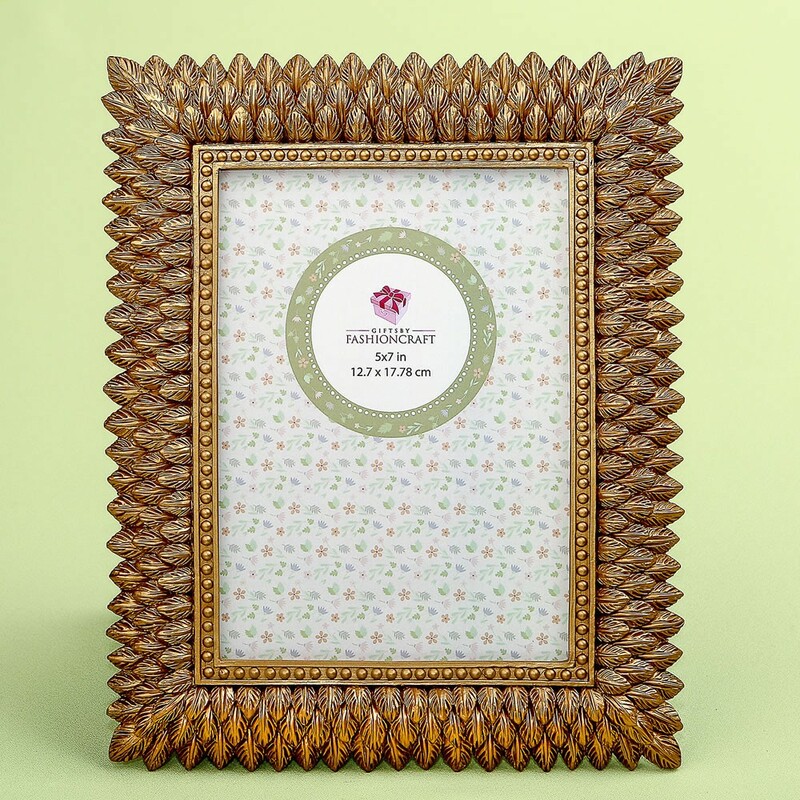 Target new customers with our latest range of gold leaf design photo frames. They make great gifts and upmarket favors for grand occasions.